No party's complete without a super funky mirrorball. Mirror balls don't spin on their own accord though, so you're going to need a mirrorball motor. 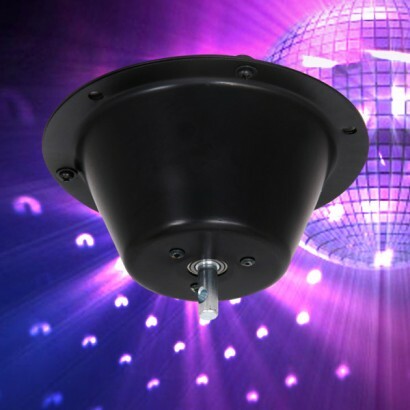 This mirror ball motor can be either battery powered or mains powered making it ideal for touring DJ's, bands and acts. Check the weight of the object you wish to rotate and select the appropriate motor. 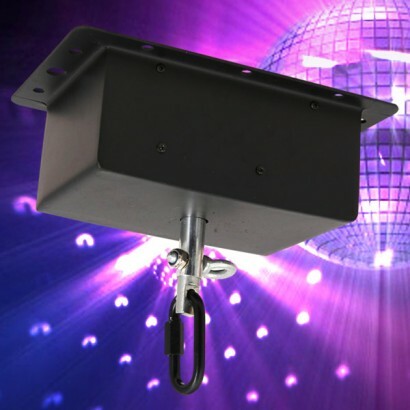 Suitable to power mirror balls up to 2kg in weight, the motor will provide 6 rotations per minute. 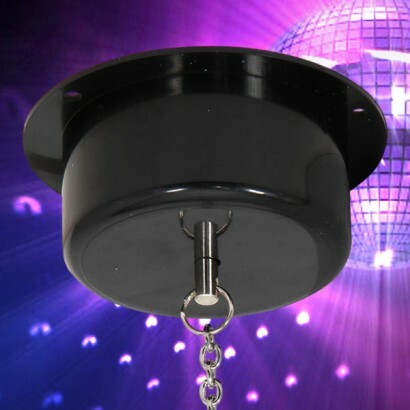 A mains powered motor that will hold and rotate your hanging Mirrorball. Size(Cable): 97cm from plug to motor. Size(Motor): 5.5cm Height, 11cm Diameter. Max Weight Load - 3kg.